Sensors which show whether a seat is free on have been rolled out across a UK train fleet running between London and Scotland in a world first. London North Eastern Railway (LNER) has begun using the technology above seats on all its trains to make it easier for passengers to avoid having to stand. Seat Sensor is now live on all LNER trains displaying reservations above the seats using a traffic light system. The system, which was first trialled in August, detects which seats are occupied by activating beam sensors twice between each station the train stops at. Passengers can view digital maps showing which seats are free by connecting their smartphones to the onboard wi-fi. This means passengers will not need to walk through the train to find a green or amber seat. Instead they can view a map of each coach and the seat status from their phone. The sensor also records the future status of a seat's availability. A traffic light system has been installed above seats to display whether they are free, or will be free in future. 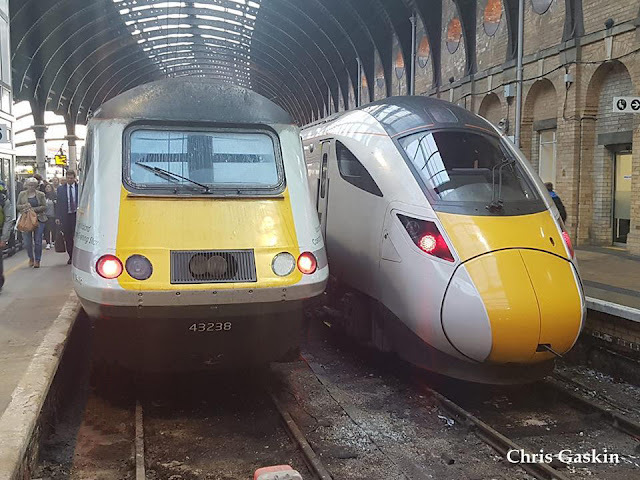 LNER commercial director Suzanne Donnelly said: "We know some of our customers can become anxious when they are trying to find a seat, whether they are asking for their reserved seat back from another passenger or struggling to find an available unreserved space. The innovative seat sensor technology addresses this by making it much easier for all of our customers to find a seat. We hope this improves their overall journey experience."